There’s an unprecedented pilot shortage creating a tremendous demand for new pilots. Over the next 20 years, reports indicate the need for more than 790,000 new pilots. As current pilots retire, the national and global need for pilots continues to increase at a greater pace than new pilots are currently being trained. The pilot career outlook has never been brighter or more exciting. Aspiring pilots have a tremendous opportunity in 2019 and beyond. The demand for pilots is expected to increase as global travel demand expands and current pilots retire. You can expect excellent job security both in the short term and over the course of your pilot career. Many pilot career choices offer excellent salaries and benefits, along with unique and fulfilling job duties. As a certified flight instructor (CFI), you will teach aspiring pilots, new pilots, and veteran pilots. CFIs can teach at flight schools, aviation colleges, airlines, or operate as a private flight instructor. As a corporate pilot, you fly smaller, high end, business or personal jets for small businesses or corporations. Also known as crop dusters, agricultural pilots, or ag pilots, aerial applicators are pilots who fly small aircraft at low altitudes to spray pesticides, fertilizers, and more on fields of crops. Contract pilots often fly for charter companies or businesses on an as-needed basis. Many contract pilots are self-employed. Also known as cargo pilots, freight pilots fly a wide-body airplane full of cargo worldwide. They often complete their flights in early mornings and late evenings. Airline pilots fly passengers in large aircraft on domestic and international aviation routes. In most career paths, your salary and benefits are based on a variety of factors, many of which are outside of your control. Your salary is usually determined by a hiring manager or supervisor, and it is affected greatly by location, your personality and negotiating skills, previous performance reviews, and many other factors. 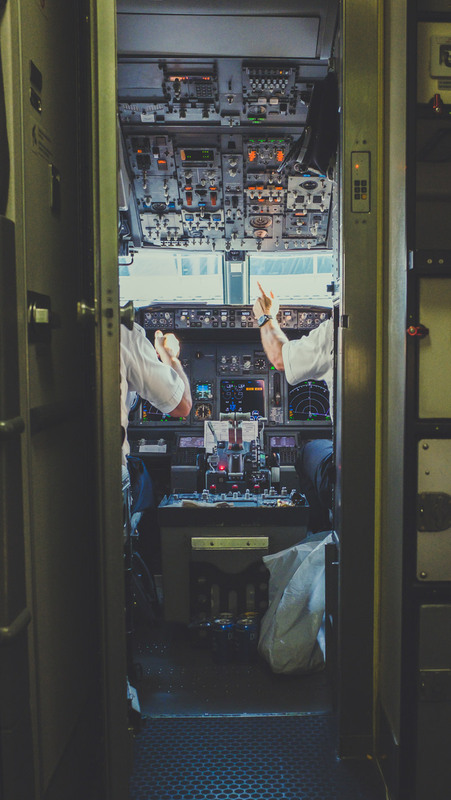 For airline pilots, however, seniority progression means that as long you execute your job and remain in your job longer than others, your salary will continue to increase to the top of the scale. For major airlines, your annual salary can grow to $300,000+ per year. The pilot career is attractive for many reasons other than salary. “Why do so many pilots love their work? "This month marks 10 years since my first solo flight in an airplane. A lot has changed throughout the years. "Fun facts: The 172 I started in would fit inside the engine cowling on the Airbus. The bus weighs 89 times more and carries 188 times more fuel. Most of my pilot friends have a similar story to this, but for everyone else. "A lot of people made fun of me, laughed at me, told me it wasn't possible. To the newest generation of high school graduates, don't listen to what anyone else says. Pick something you're passionate about, with some hard work, and a WHOLE lot of luck you can achieve anything! "So as 234 of us cross this amazing country ️ tonight, we will pass over Lincoln, Nebraska where it all started. Even though there is a much larger goal here of getting people safely to their destination (not Ted getting to fly around just for fun) I'll still reflect on what an amazing ride it's been so far! Can't express enough gratitude to everyone who has helped make this possible, and the friends I've made along the way!" Create a personalized plan for your pilot career. MY PERSONAL FLIGHT PLAN™ can help set you up for success as you train for your pilot career. Learn more about the different pilot career opportunities and receive guidance to help you set goals and navigate each step of your professional flight training. As a Performance Aircraft student, you will join a great culture, gain access to quality instruction, modern aircraft, and job placement assistance. We have the experience and airline relationships to take you from zero to flying for regional airlines in about two years, and from there on to the major airlines. If you are interested in other pilot career tracks, such as charter, corporate, law enforcement, or agriculture, we can connect you with people in those fields. When you choose Performance Aircraft, you can rest assured our focus will be to develop your character and skill capacity for success in your flying career.